Buy Black Girls Guide to Horror a Coffee. ko-fi.com/blackgirlsguidetohorror - Ko-fi ❤️ Where creators get paid by fans, with a 'Buy Me a Coffee' button. Hi all! 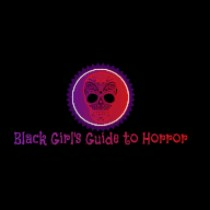 My name is Jessica and I'm the creator of the Black Girl's Guide to Horror, a blog dedicated to discussing horror movies, tv shows, books, and art from a perspective that is underrepresented in horror. I'm also a creative writer and teacher. Welcome to my Ko-fi Page. Please check out my blog. If you enjoy my content, please consider supporting what I do. Thank you. Secured Payments. Support goes to Black Girls Guide to Horror's account. Upgrade Black Girls Guide to Horror to a yearly Gold Membership with a one-time payment.